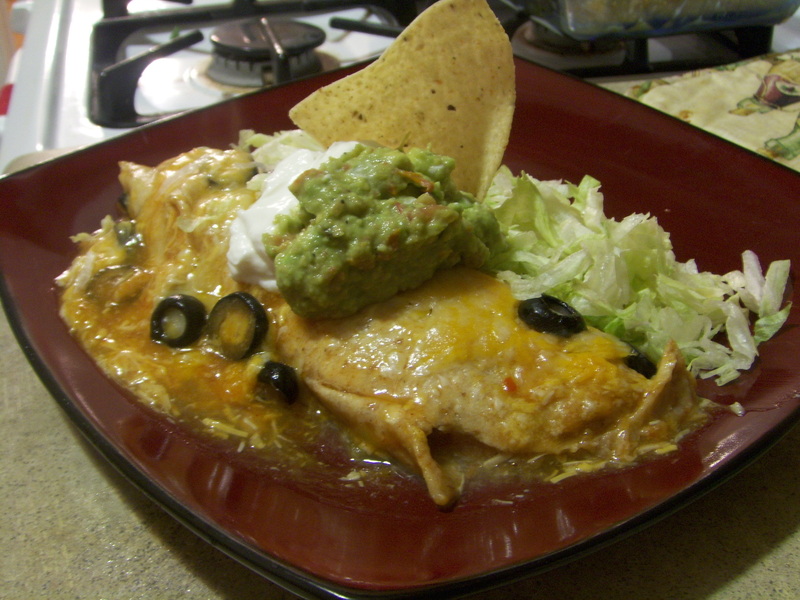 Chicken, Green Chile, and Cream Cheese Enchiladas! If you are in search of a warm, cheesy, melty, homemade meal for a cold winter night, these enchiladas are pretty much perfect. 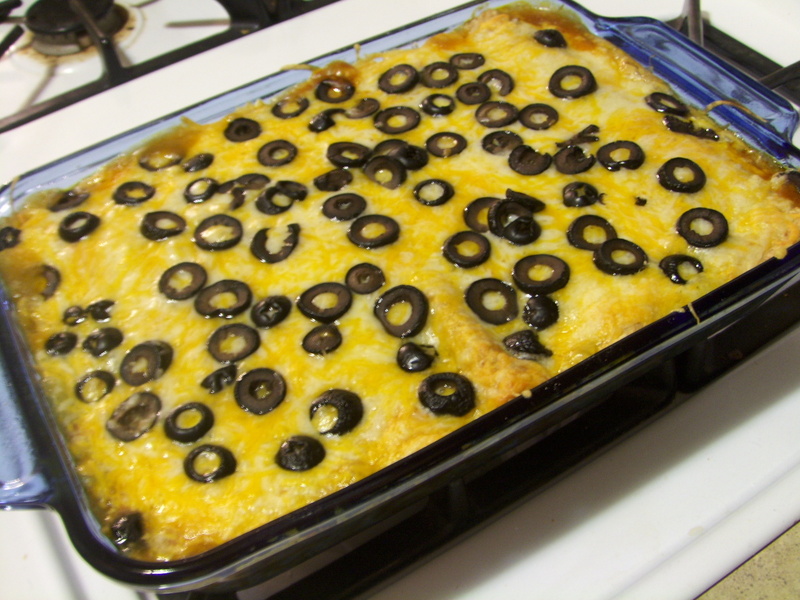 Also, they are a bit more healthy than your everyday, run of the mill, enchiladas you may have made in the past! And even better than that–they pact quite a bit more flavor. 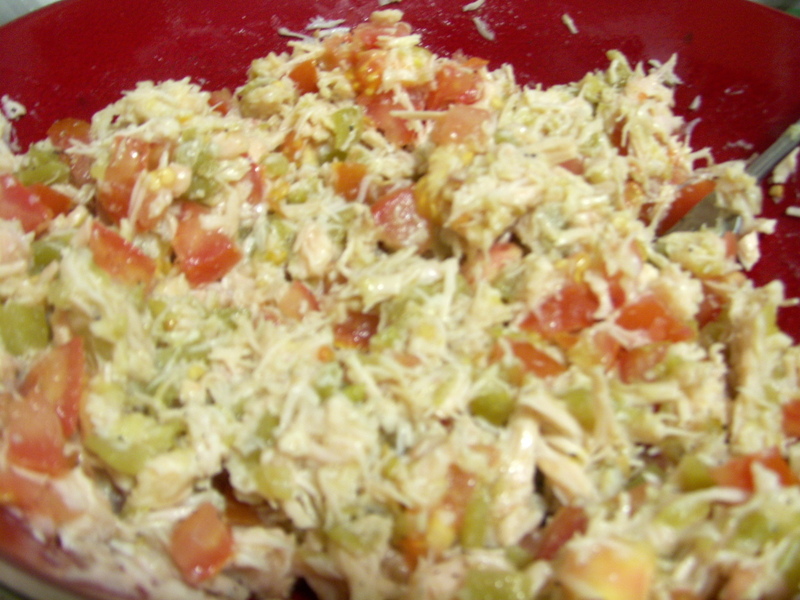 Most of the time, I will cook chicken in my crock-pot with a can of salsa to make the most delicious and tender shredded chicken ever. However, I didn’t have time to throw chicken into the crock-pot before I went to work in the morning. So, I improvised a bit. 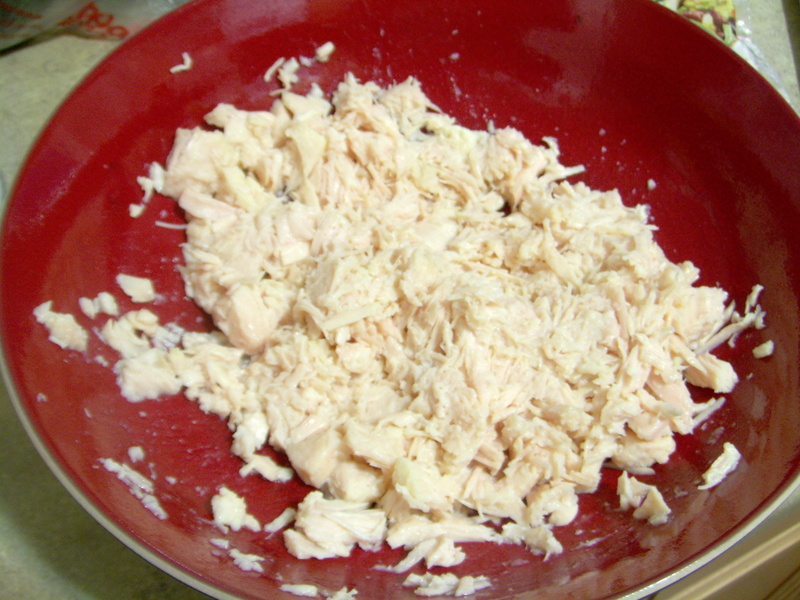 First, you want to start by mixing the enchilada filling. 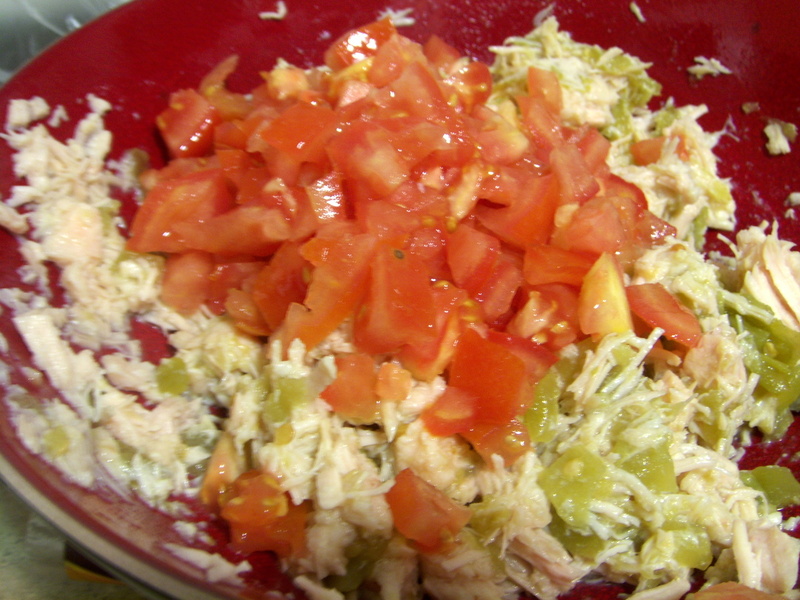 This time around, I used organic canned chicken instead of the shredded chicken I have used in the past. It worked out pretty great actually. 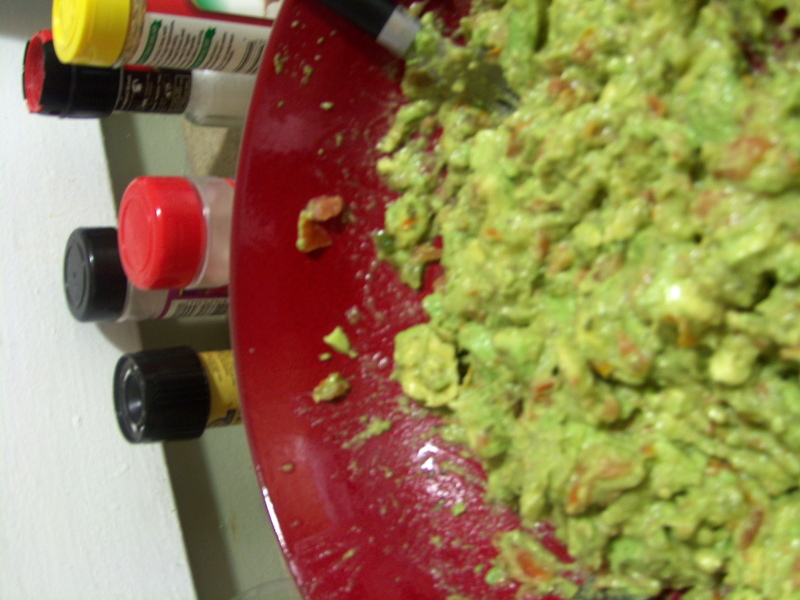 Then, with the chicken, I mixed in 2 small cans of mild green chiles (I really love the Hatch brand green chiles you can find in the Mexican food isle), one diced tomato, sea salt, and ground black pepper. Once the filling was ready, it was time to stuff the tortillas. I used whole wheat organic tortillas, which taste even better than the regular white ones that you can find at any grocery store. Even if you don’t buy organic, try the whole wheat in this recipe. 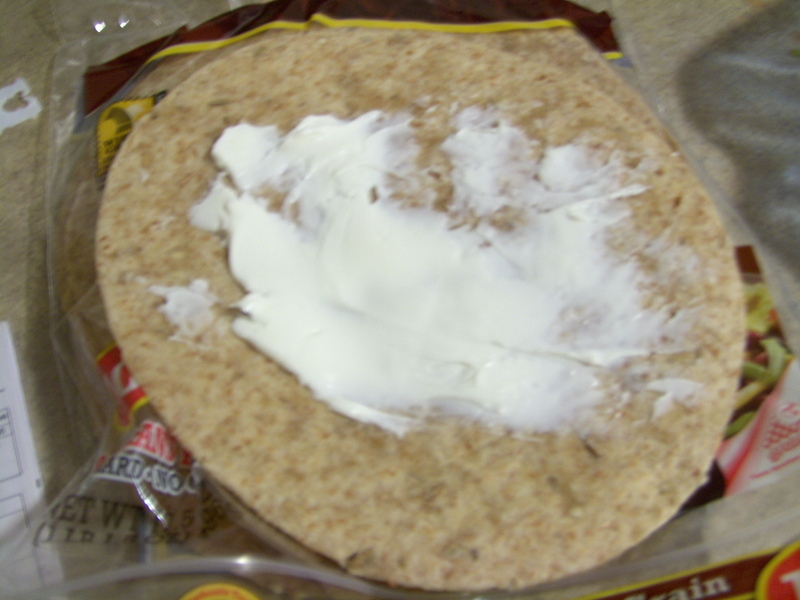 Before stuffing each tortilla, I spread some low fat cream cheese on the tortilla for some extra cheesy flavor. A friend thought goat cheese might also work here, and I think he is probably right. Just make sure it is a non-seasoned mild goat cheese. 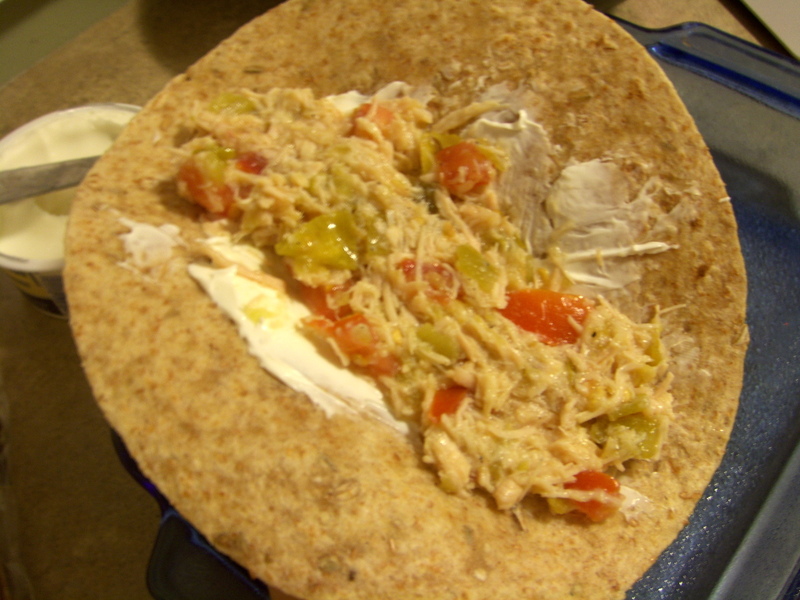 Then, go ahead and start filling your tortillas, wrapping them, and placing them in your non-stick pan. I also sprayed the pan with some olive oil for some more non-stick action. If you are like me, I can never choose between green tomatillo/green chile sauce or red enchilada sauce. So, to heck with it–USE BOTH! I really like combining both of those flavors. 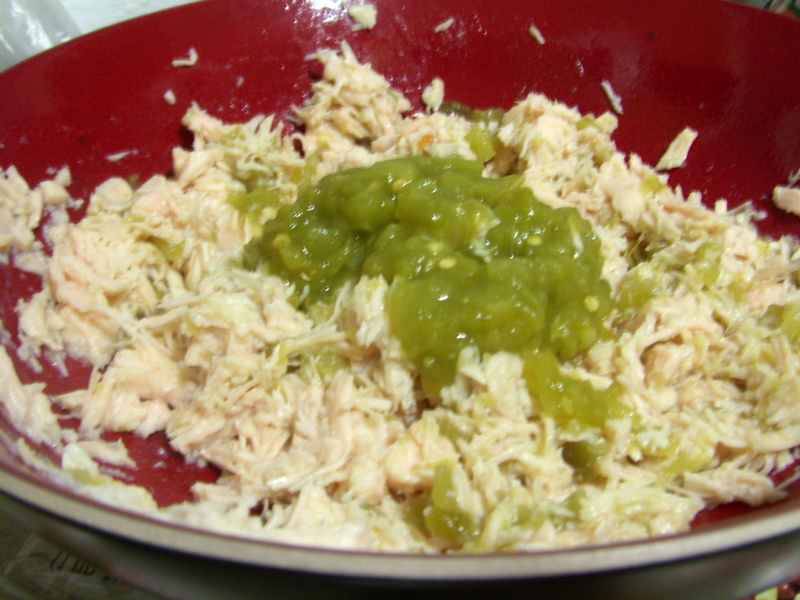 I like green sauce when I cook with green chiles, but the red sauce also make you feel like you are eating something more authentic. 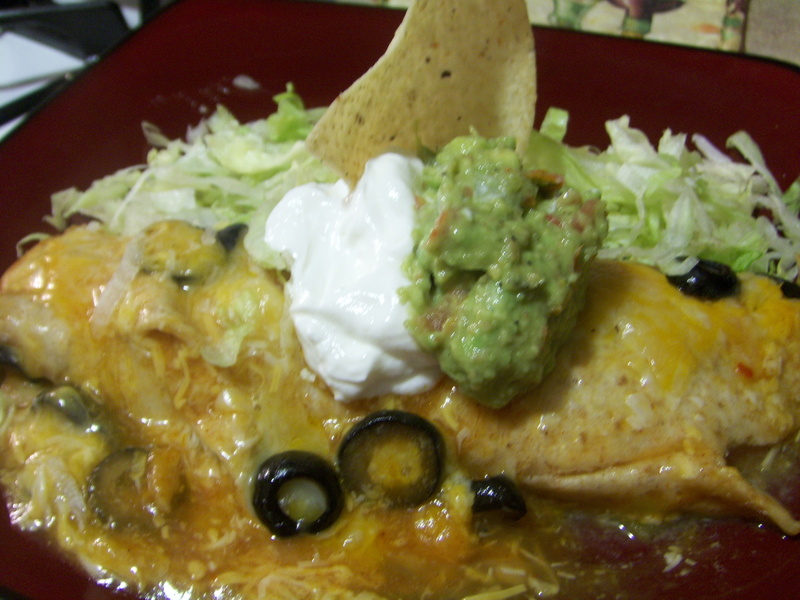 For these enchiladas I used Las Palmas Green Chile Enchilada Sauce and Old El Paso Red Enchilada Sauce. 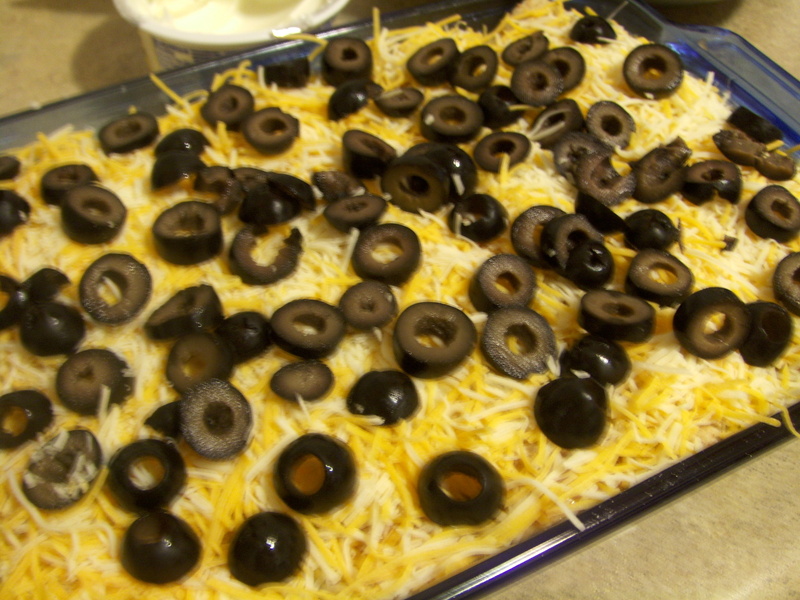 Top with cheese and some black olives, and you are all set! Pop those babies into the oven on 375 and cook for about 25 – 30 minutes–or until all that yummy cheese gets melty and beautiful. 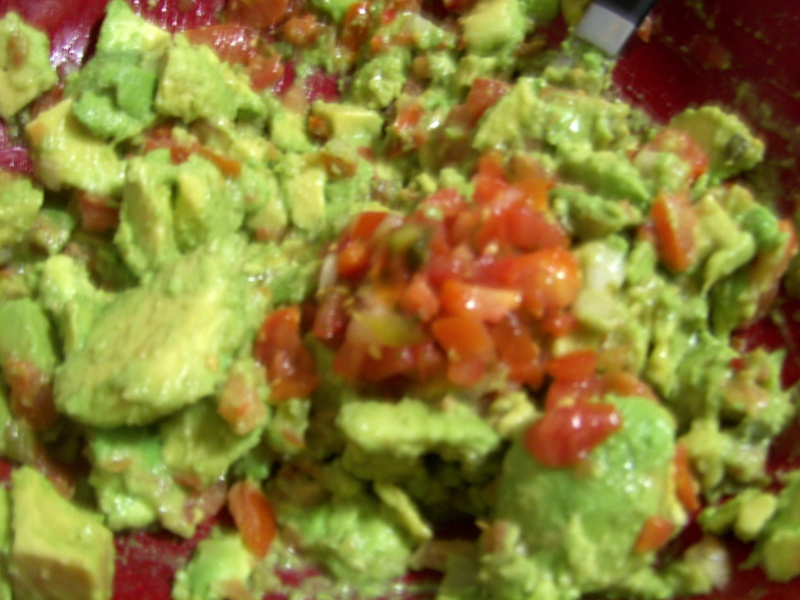 While the enchiladas are cooking, you are of course, going to want to make some homemade guacamole, right? 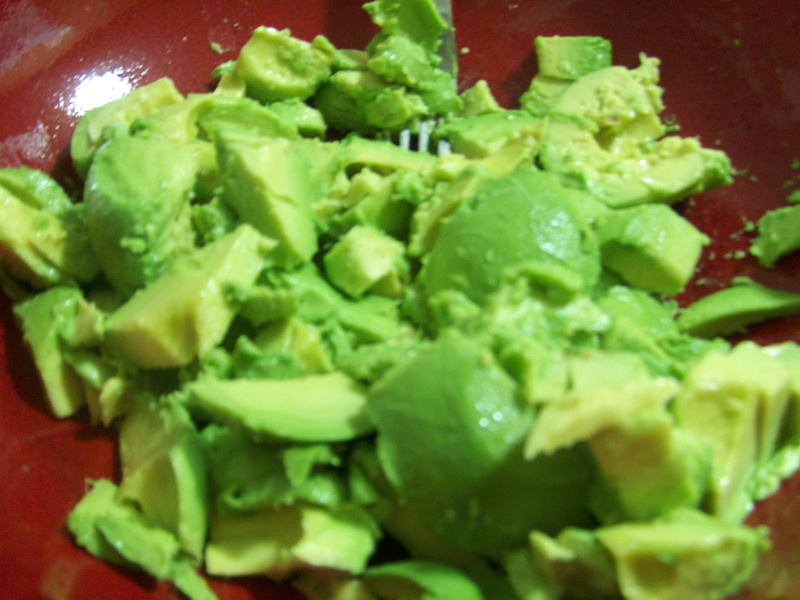 Get some beautiful avocados (a little more difficult to find in the winter…I know) and slice them up. Instead of cutting up a bunch of tomatoes, onions, and peppers, find a really good fresh local pico de gallo (usually in the cold section by the butter, etc) and use that instead. Add in a LOT of sea salt, pepper, garlic salt, onion powered, onion salt, and a pinch of sugar, and make sure you have some tortilla chips on hand to taste as you flavor it up. 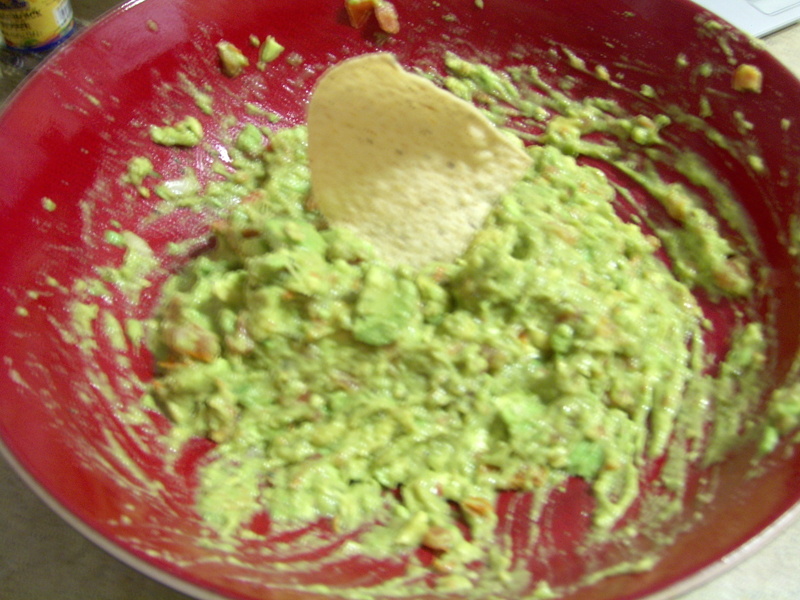 I like really salty guacamole, but you may not. I never put specific measurements with my seasonings because everyone likes things a bit different. When your enchiladas are done, garnish with some shredded lettuce, your homemade guac, and some sour cream, and then go ahead and be in heaven for a few minutes. This is a great and easy dish when you are cooking for several people or need to take dinner somewhere. 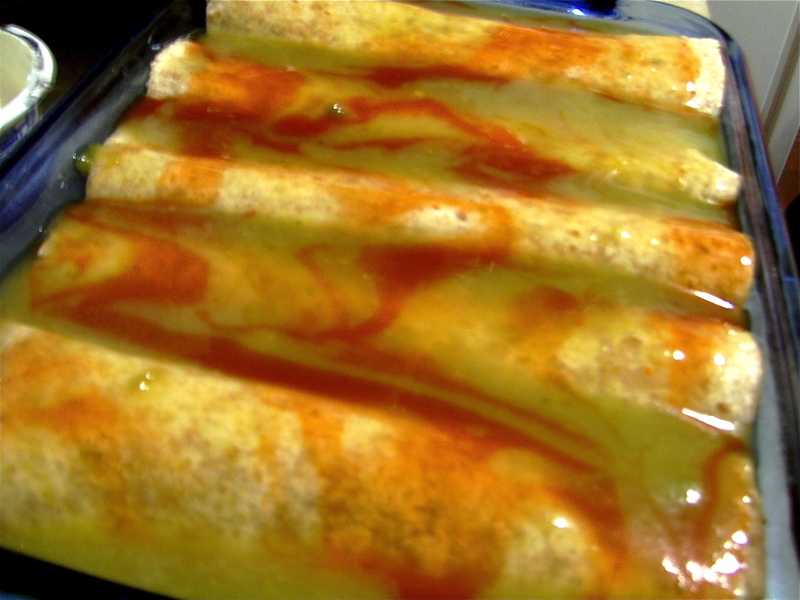 Also, these enchiladas have MUCH more flavor than your standard enchiladas ever will! Let me start this post with a question: why does anyone EVER eat at Chilis? Or Applebees? Or Olive Garden? Why OH why, when you can get amazing food at local eating establishments with fresh local fare that is priced sometimes far lower than these chain restaurants where everything served comes out of a frozen bag? I am baffled. 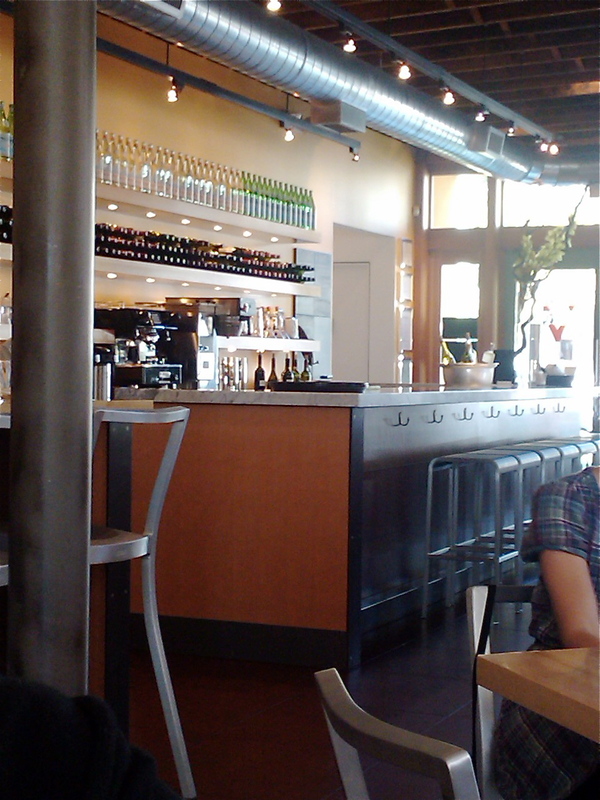 That brings me to quite a lovely local downtown restaurant called Vinto. Vinto is a charming little restaurant that has a modern feel. The decor and atmosphere are great for nearly every eating occasion you could think of–from a client lunch to a nice night out. Everything from the style and straight lines to the modern tables and chairs, all really create an atmosphere where you feel as though you are dining at a restaurant that pays attention to detail. 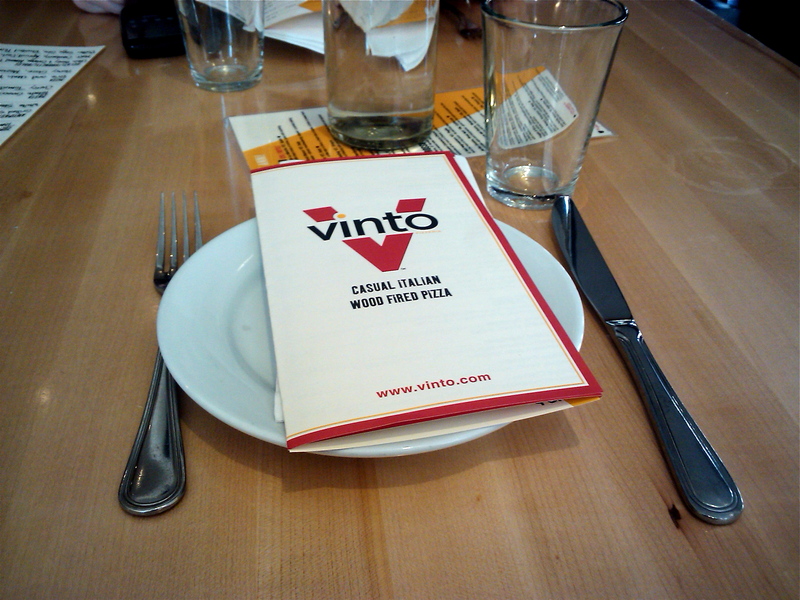 I was only at Vinto for a quick lunch, but since I had never been before, I really wanted to do a review of what we were able to try. I had heard that I could NOT pass up the artichoke appetizer, so that was first on my list to order. This is a wonderful dish that is very full of flavor and perfectly light for such an occasion. 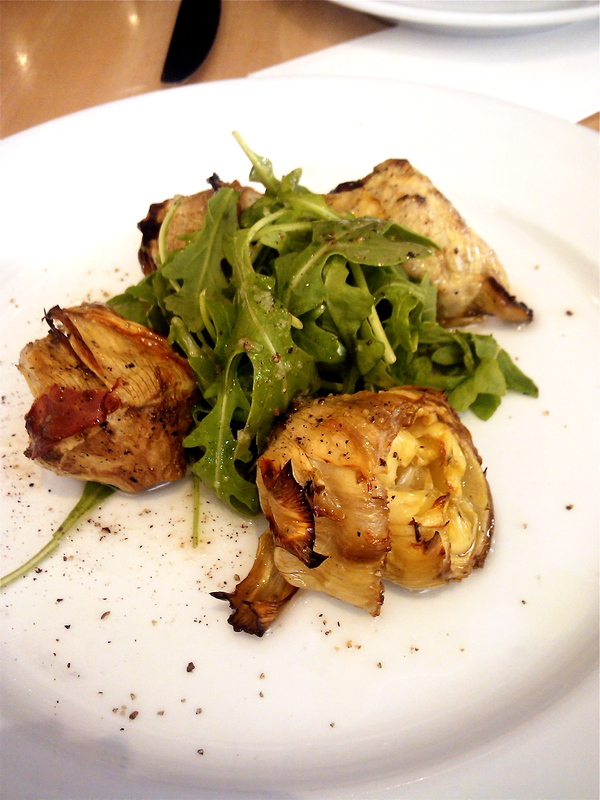 I have to say as well, never having been an arugula fan, I am starting to really like this bitter lettuce with other things such as tomatoes and artichokes, especial when a rich olive oil is involved. 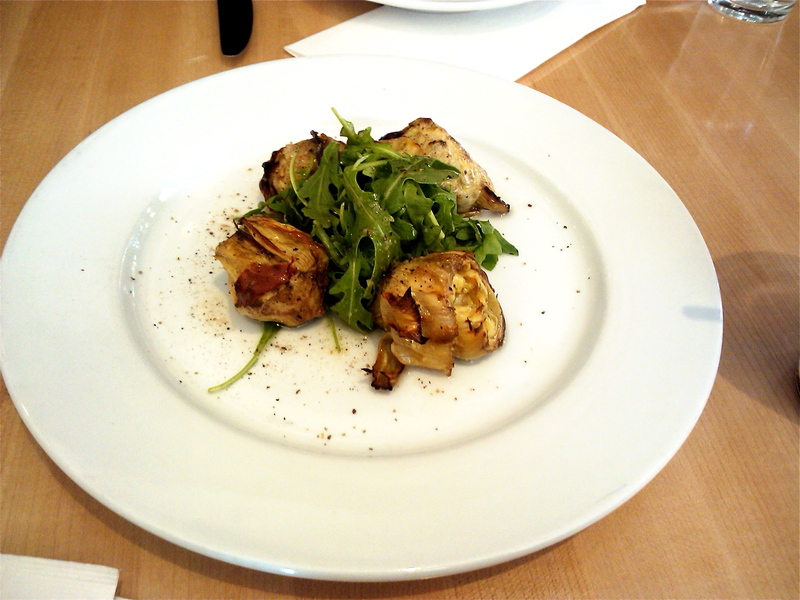 The Grilled Artichoke ($7.00) was delicious. It is served with shallot vinaigrette and arugula and you simply must have your server finish it off with some fresh ground black pepper. This stunning appetizer was close to perfection. When I do a review, I try to order off the regular menu, as the specialty menus at restaurants (especially ones that are local) change quite often. 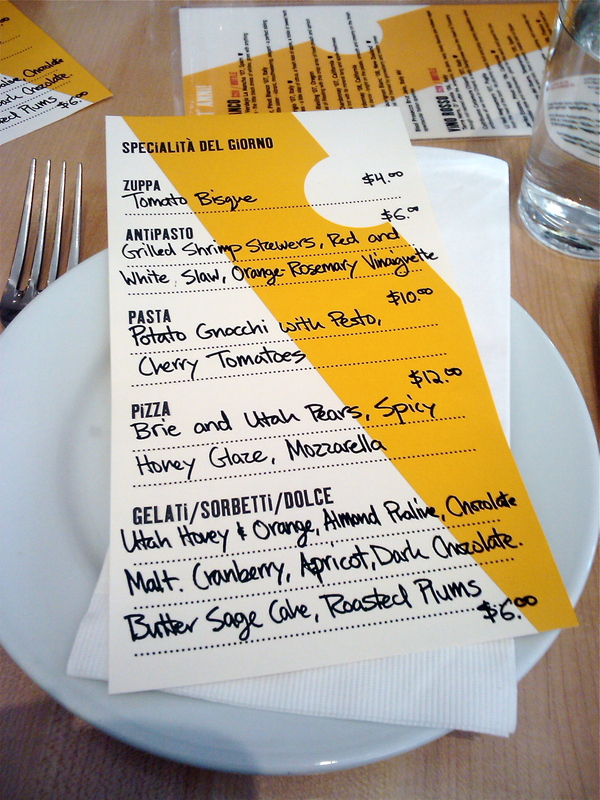 However, on this occasion, there was a pizza on the specialty menu that I couldn’t pass up. 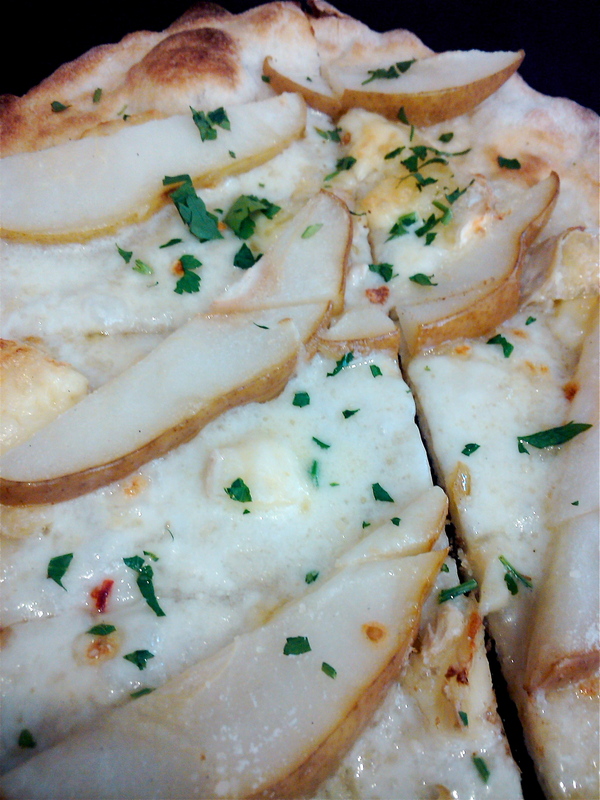 For $12.00 they were offering a pizza dressed in brie and Utah pears, spicy honey glaze, and mozzarella. How do you say no to that? And I wasn’t disappointed. I was worried the pears may be overcooked and mushy. They were not. I was worried that the honey would be overwhelming. It was not. 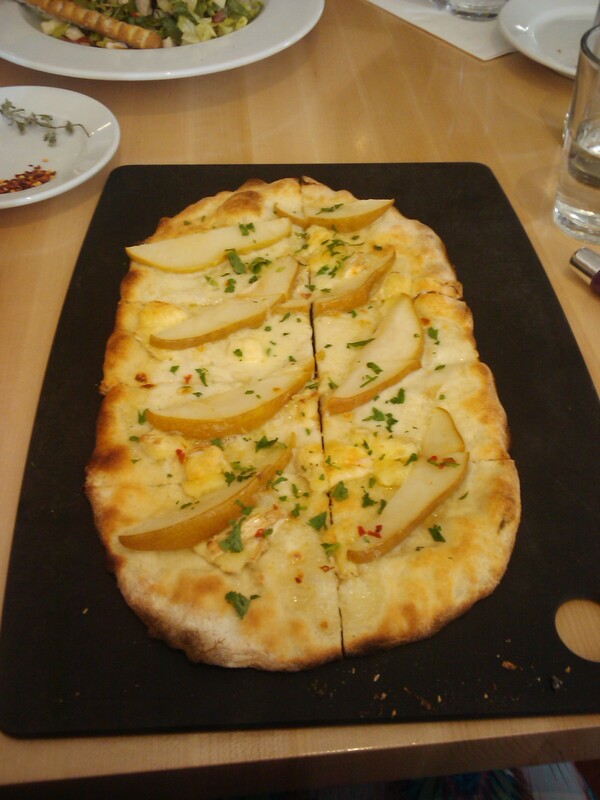 It was sort of a perfect concoction of sweet and savory. 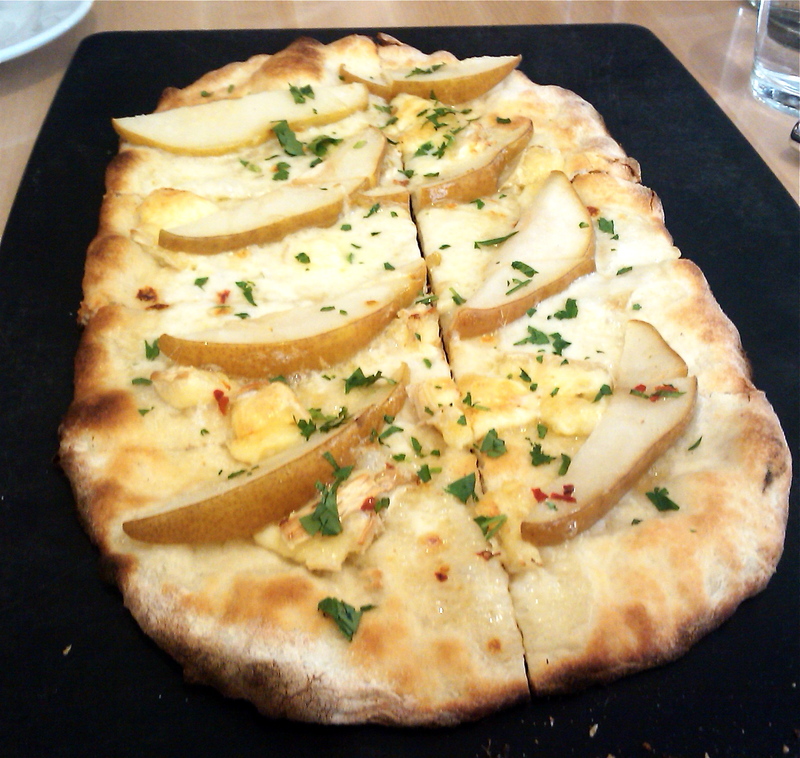 This pizza should be on the menu all time so that I can have it whenever I want (I am selfish like that). 🙂 It was delicious. 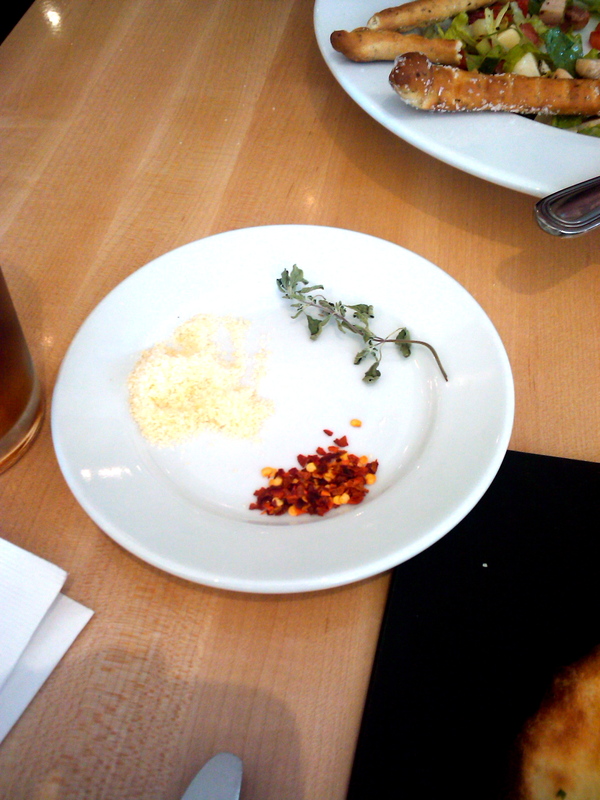 I also loved the fresh way the condiments came out with the pizza! 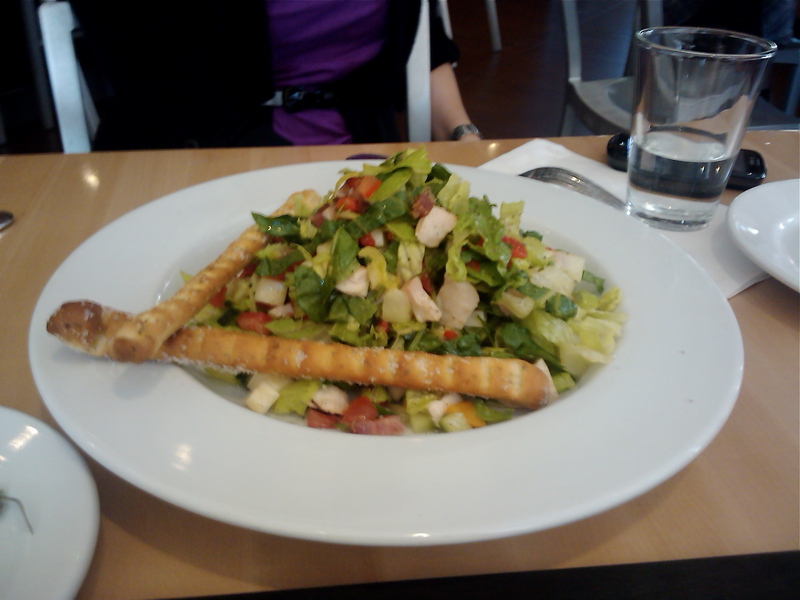 My friend Kristen ordered the Italian Chopped Salad ($8.50). It was light, but had a good mix of flavors. The pancetta that was diced up into small bits made for a great salty flavor against the Italian dressing, and the bread stick was pretty awesome too–crunchy and salty; a perfect match. 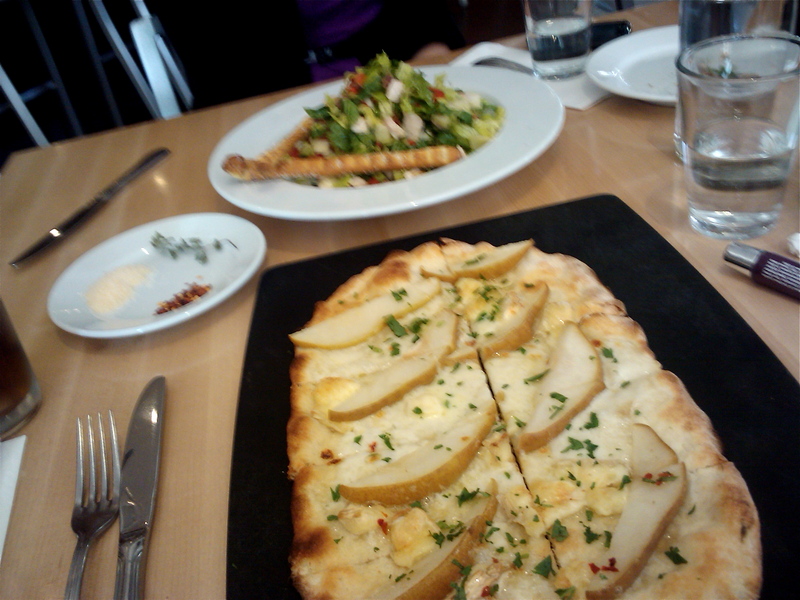 The salad was certainly a nice light choice to go with the pizza. As a “critic” (I hate that word), I have been tying to find something about my Vinto experience that I didn’t like. But really, I walked away full–but not over indulged. I really felt as though the ingredients were seasonal and as local as possible, which is really important to me as a consumer. The flavors were fresh, the service was good, and the prices were spot on. I am really looking forward to trying everything else on their menu. Everything from the coffee to the gelato to the pasta looks great. And as I always say, support our local business here in Salt Lake!! Let those chain restaurants go by the way side–there is just no reason to eat that frozen food in this wonderful city! I haven’t made soup in a long time–mostly because there is no need to make hot soup in the middle of summer. However, now it is most definitely autumn and therefore–soup shall be made! 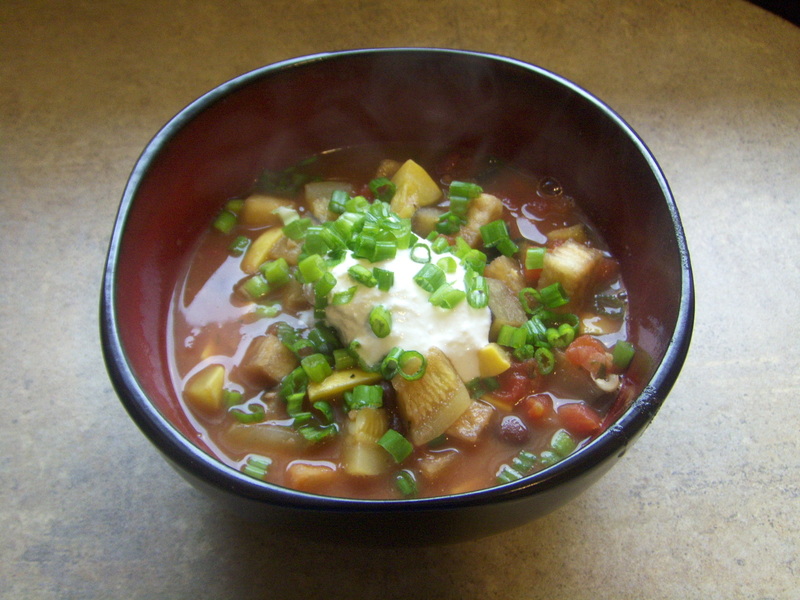 One of my favorite and easiest recipes for soup is my autumn veggie soup. It is super easy and you don’t need to cook it too long to get a lot of flavor. Also there are a lot of ways that you can change it up. 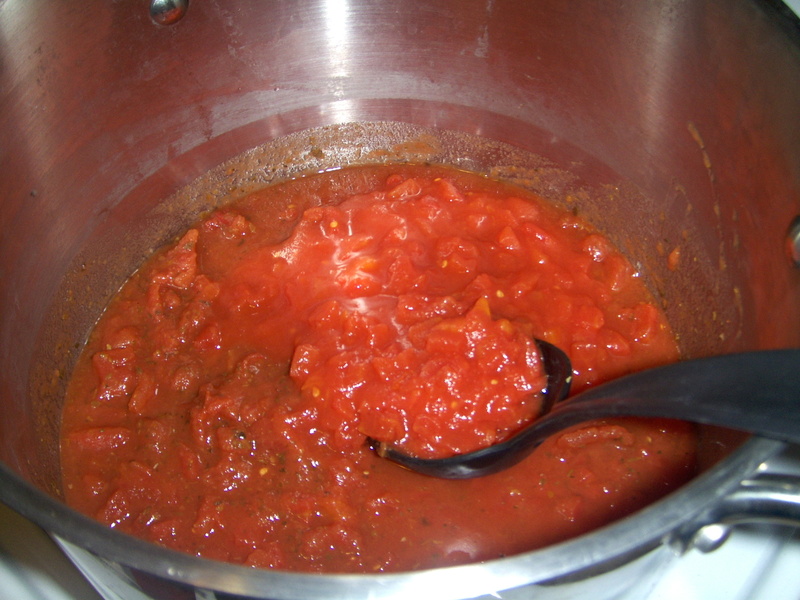 First, you want to start off with organic stewed tomatoes. 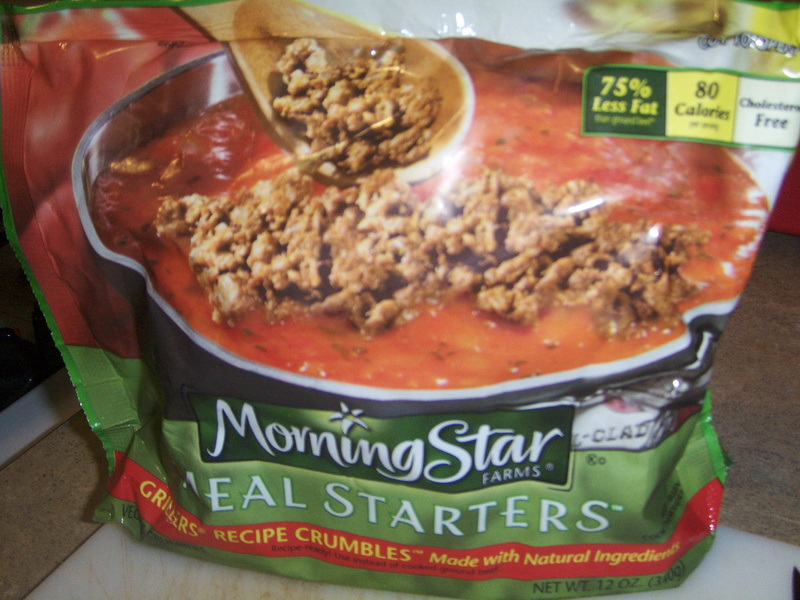 I like using just the plain ones because sometimes the flavored stewed tomatoes have way too much…well, flavor. 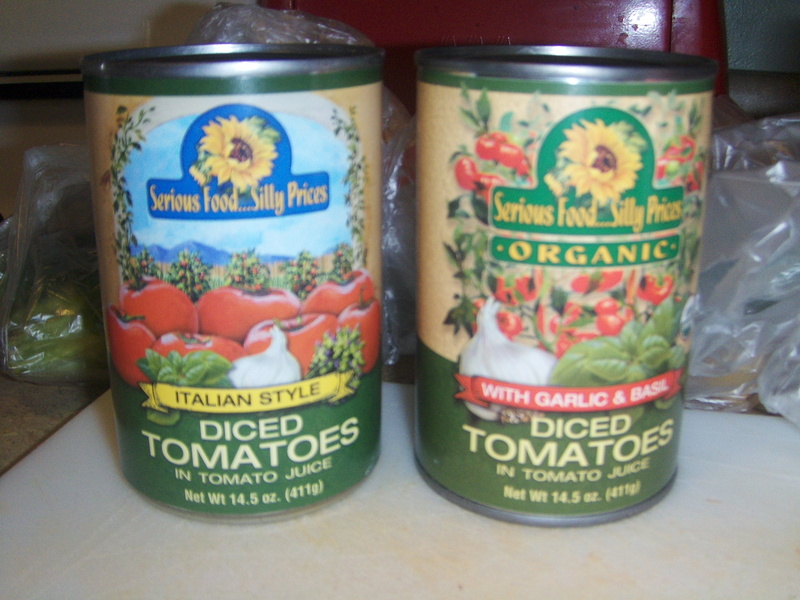 I usually use two cans to start off my soup base. 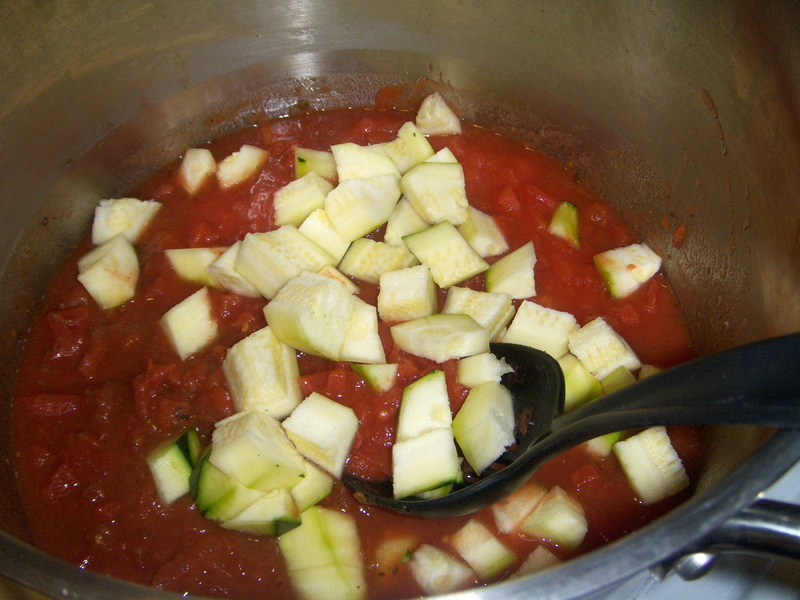 Bring the tomatoes to medium heat and then you can start adding your fresh veggies. 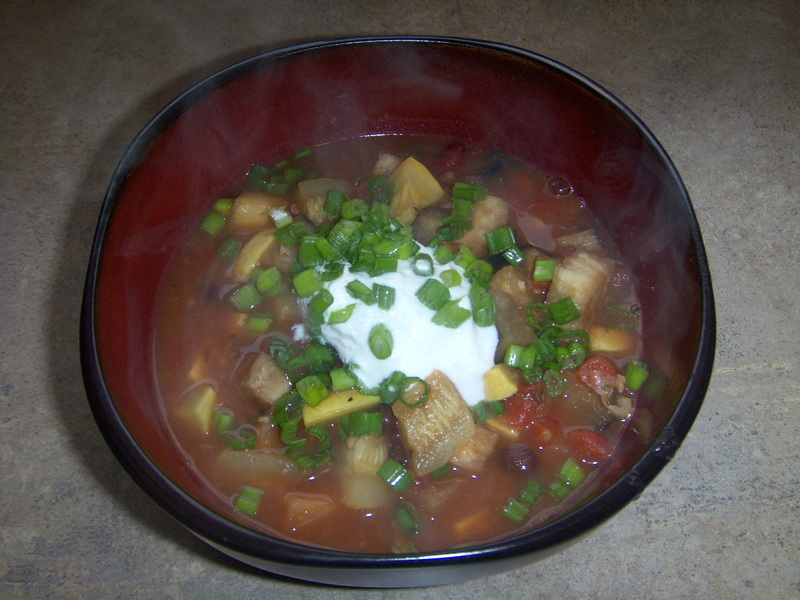 Of course, you can use your favorite veggies, but I tend to use the same ones for this soup. 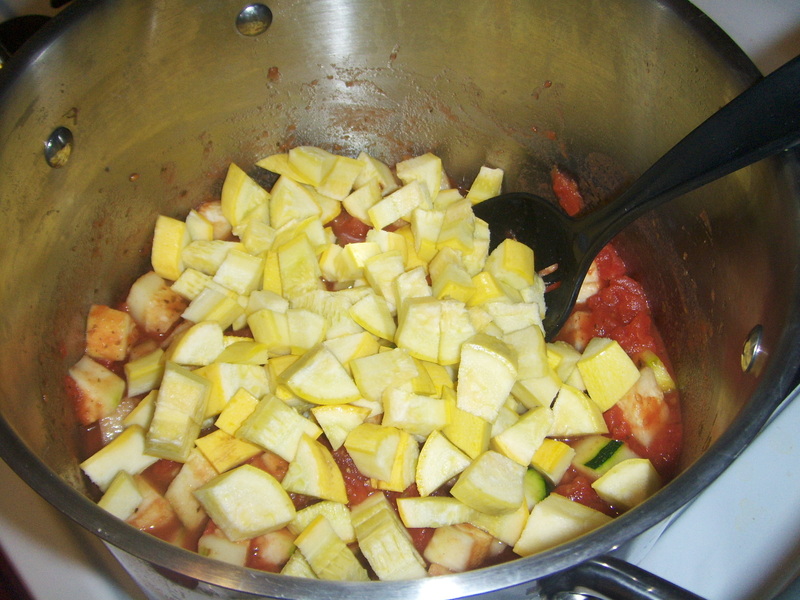 Yellow squash, zucchini, and eggplant. 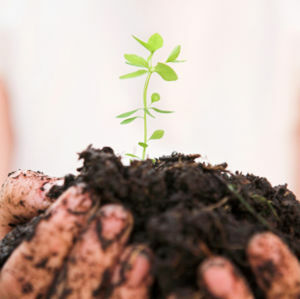 You will also want to start adding your beans. 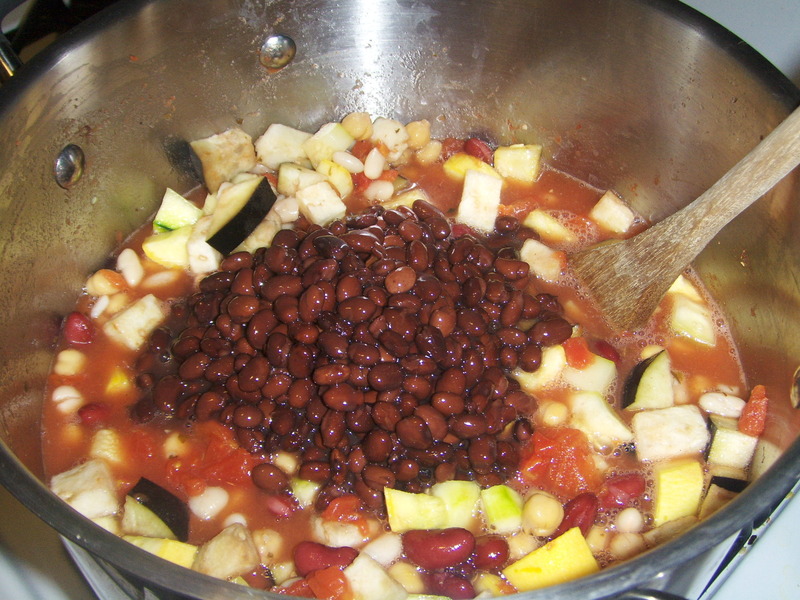 I use all sorts of beans in this delicious soup: black beans, chick peas, white beans, red beans, etc. You will want to put all of your beans into a strainer and run them through some water before you put them in the soup. 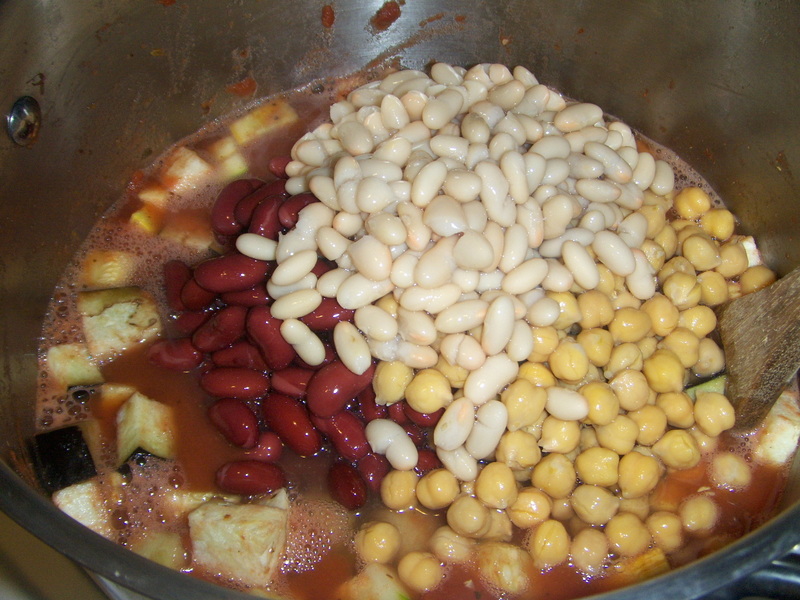 Otherwise, all of the juices that the beans are in can also overtake the flavor of the soup. 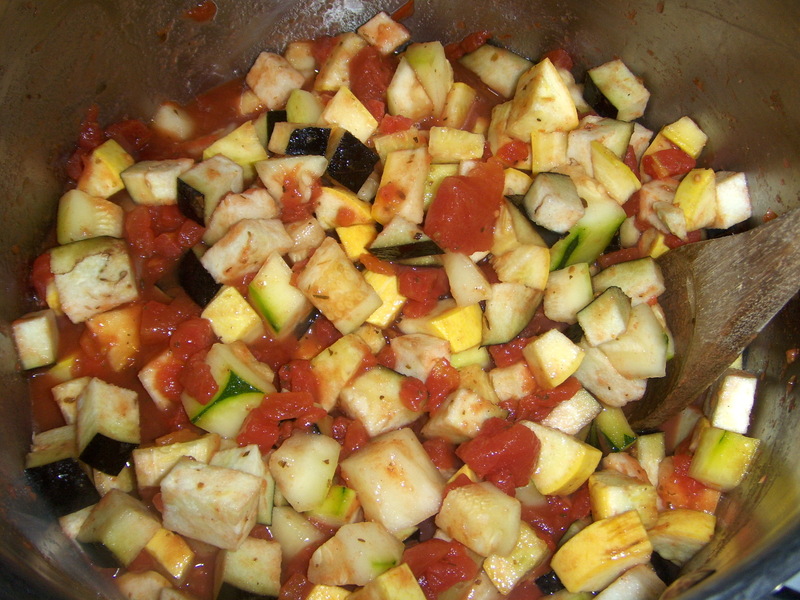 Once you get all of your veggies and beans into the stewed tomatoes, you want to start bringing your heat up to a boil. When you add your seasonings, you want the temp to be hot so that everything starts soaking up the flavors. Sea salt, fresh ground pepper and 3 or 4 bay leaves are a must. 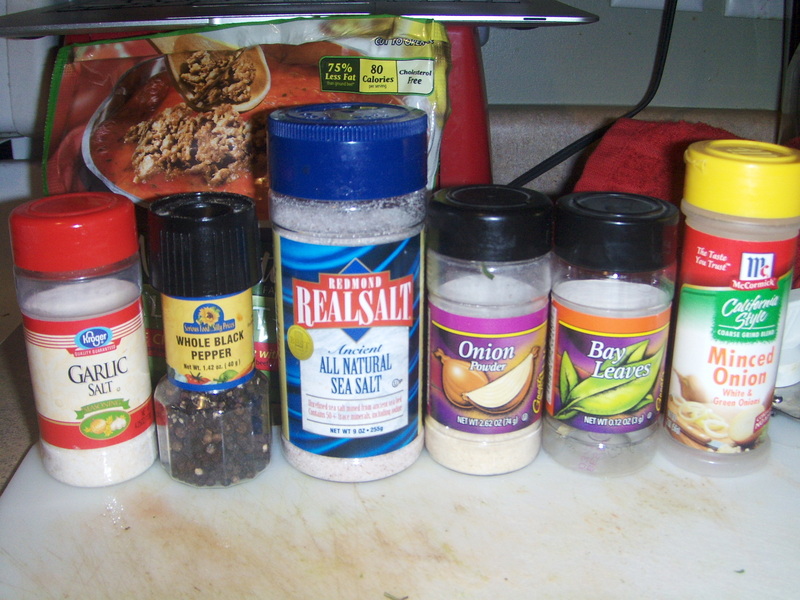 I also like a lot of garlic salt and onion powder. I am not a huge fan of onions in soup…but I love onion flavor. 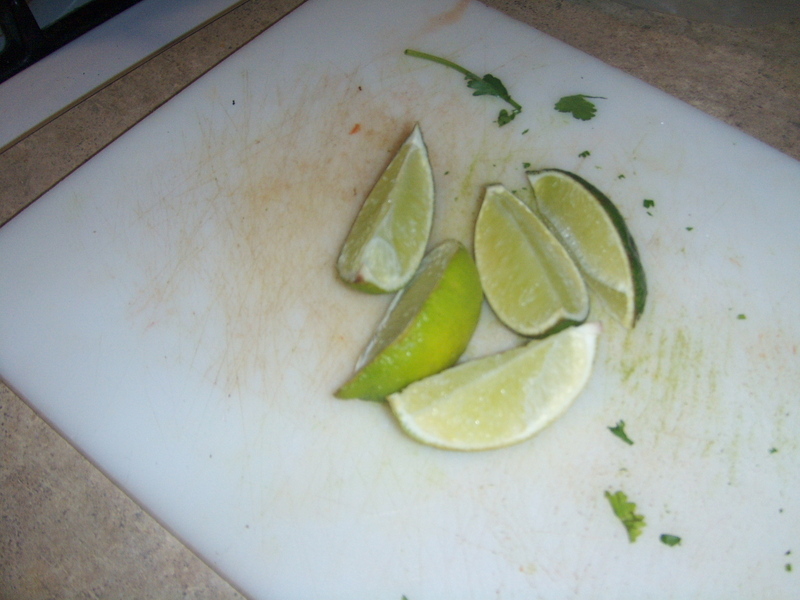 Also, I added quite a bit of fresh cilantro and fresh lime. 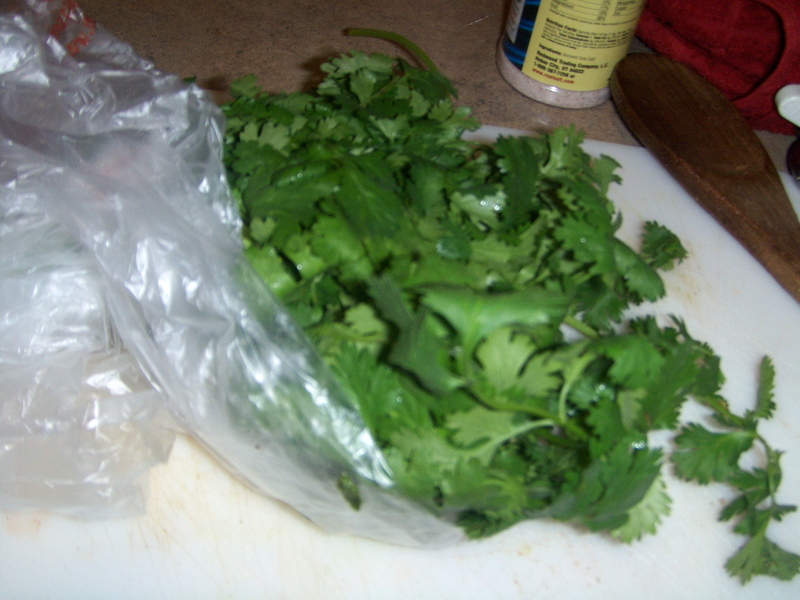 You could add all sorts of fresh herbs such as basil or tarragon as well. For this batch of soup, however, I wanted to keep it simple. Let the soup simmer with the seasonings for about 20 minutes or so. I wanted this soup to be completely vegatarian, so I didn’t have to cook any meat on the side. 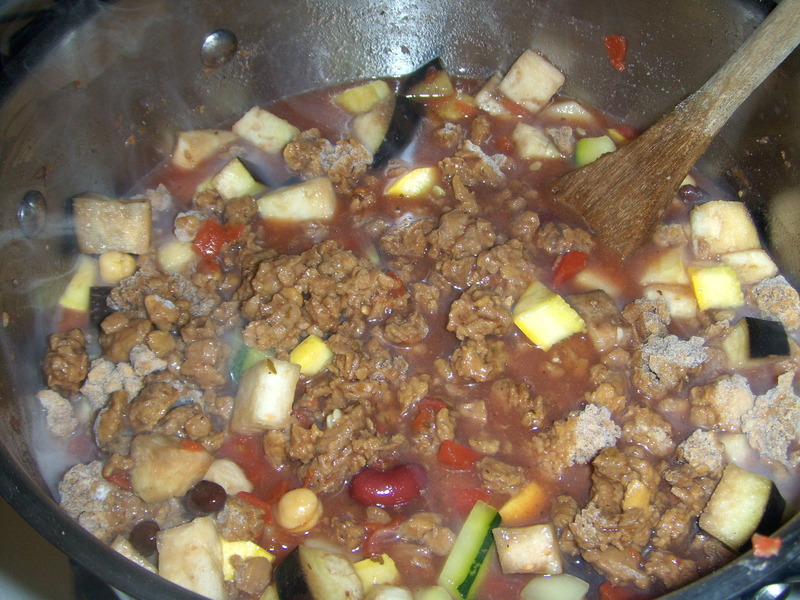 Otherwise, adding the cooked meat (juices and all) helps add a lot of flavor. So, for this soup, I decided to use wheat meat crumbles, which I love. 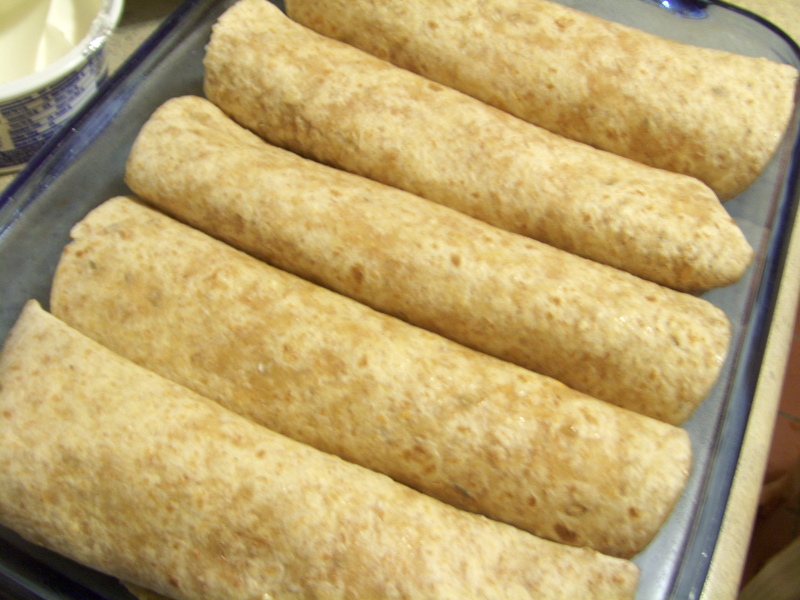 The wheat meat doesn’t need to cook long, however, and it is pretty salty on its own. So, I didn’t want to add the wheat meat too soon. Once the veggies started getting soft, I went ahead and added the wheat meat into the soup. Put the lid on the pot and let it simmer for about 10 minutes. You don’t want your veggies to get too soft, so this ins’t a soup you want to cook for a long time. Make sure that your veggies still have some firmness to them, but also that the flavor has soaked up enough that things are tasty!! Add to this soup any other ingredients you love and you will see how versatile it can be. It is a great base for any fall soup you are in the mood for. Enjoy!